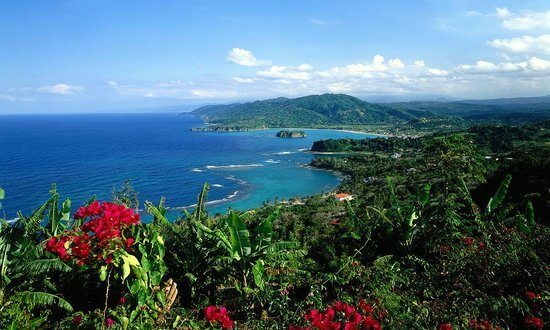 With its sandy beaches, luscious rainforests and stunning waterfalls, Jamaica is the perfect place for a tropical vacation. This is a Caribbean island with lots to offer for travellers of all kinds, from those of you seeking a party scene to those looking for something more relaxing and cultural, Jamaica has it all. Know when to visit Jamaica. The climate is pretty consistent all year round with temperatures ranging between 80 to 90 degrees Fahrenheit. November through to mid-December is when it island is at its best. Have a valid passport and a secondary ID picture with you at all times. Scan your passport and email yourself a copy – should you misplace your original documents you can access your emails and print it off. But, try not lose your passport otherwise you won’t be able to get home. The laws are very different in Jamaica so read up on local news and practices before travelling. Ladies, be wary of braiding your hair unless you are used to it – temperatures are very high here and you will end up with a burnt scalp if you’re not careful. Food is a huge part of any vacation so make sure you try out the local cuisine. You will experience some of the freshest seafood as well as tropical fruits and veg that you don’t get back home. Jamaica is home to the world-famous jerk spices so be ready for your taste buds to go wild as it is added to almost everything from chicken to pork, served with side dishes such as rice and peas or roasted breadfruit. Now this tip won’t be as fun as the rest but it is one that needs to be mentioned… be aware of your surroundings and prepare yourself for travelling in a foreign country. Know the address and phone number of where you are staying, always stick with who you are travelling with, and if you decide to do other things, let one another know. Use your common sense and avoid any dangerous areas should you come across any. This is good advice for any destination. Depending on the length of time you are spending in Jamaica, mix up your accommodation. Jamaica is home to some of the most beautiful and iconic resorts in the Caribbean, many of which are budget friendly. Remember to pack mosquito repellent. This is an absolute must due to Chikungunya Fever, commonly known as CHIKV, which is a mosquito-borne virus that runs through the Caribbean. Although the effects of this are not deadly, you could end up with a very unpleasant fever, rash and joint soreness. It might be a good idea to rent a car whilst here so you are able to travel and visit more places. Keep in mind that the roads are full of potholes and stick to the speed limits that are posted. Visit the Reach Falls, as seen in the film Cocktail where Brian and Jordan romantically frolic before ending up in each other’s arms. Reach Falls is an exotic waterfall that comes down a rock face into a river pool, surrounded by greenery. It offers you relaxation, beauty and adventure all in one. Hopefully these tips with help you prepare yourself for a trip of a lifetime. Relax, explore and enjoy yourself – we guarantee you won’t want to come home.